How does Adolf Hitler sound in the real world? Adolf, could you please set the table? I am not joking around Adolf, this is really important to me! Adolf--Adolf! Are you listening to me!?! Hello, Wellington Inc. this is Adolf. Adolf Hitler, come on down! You're the next contestant! Hey Adolf. How are you doing? Allow me to introduce myself. My name is Adolf Hitler. Adolf! Pick up your toys. I am not going to ask you again. I am at Adolf Hitler's house. Do you Adolf Hitler take this woman to be your lawfully wedded wife? I talked to Adolf this afternoon. I am sorry, Adolf isn't here right now. Can I take a message? You'll have to see Adolf Hitler about that. He will know what to do. Yes? Adolf? Do you have a question? Mr. Hitler, if Adolf would consistently turn his homework in--on time--he would be one of my star pupils. Would passenger Adolf Hitler please see the nearest ticket agent? And the winner is... Adolf Hitler! Mommy! Adolf ate my cookie! Hello, you've reached the voice mail of Adolf Hitler. I am away from my desk right now. Please leave a message and I will return your call as soon as possible. Adolf, it's not the end of the world. It's just a car. You are more important than a car. Adolf, it's time for dinner. Oh, there you are Adolf. I've been looking all over for you! 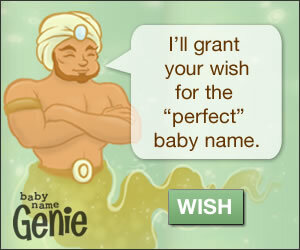 What baby name would you like to test? Which spelling of Grayson/Greyson should we use? His nickname will be Gray/Grey, so should we just use one of those instead? What are your thoughts?